We’re keeping the weekend alive with Bonus Stage, our popular house team improv show! Each Sunday night, and twice a month on Thursdays, producers Margaret Ogden and Alex O’Brien present a trio of the Arcade’s awesome in-house improv teams. Every show gives you a chance to see our talented comedy community shine in a mix of long-form, short-form, and musical improv styles! In 2017, Bonus Stage won a Best in the Burgh Editor’s Pick for “Best Comedic Tasting Menu” in Pittsburgh Magazine! Best of all, it’s just $7. Save yourself a seat every Sunday & some Thursdays at 7pm. Buy tickets in advance and get $3 off BYOB! After an Arcade House Team has been together for a while, consistently producing top-notch improv comedy, they are given “Max Team” status. These teams are filled with coaches, producers, and experienced players, and you can see them in more than just Bonus Stage. 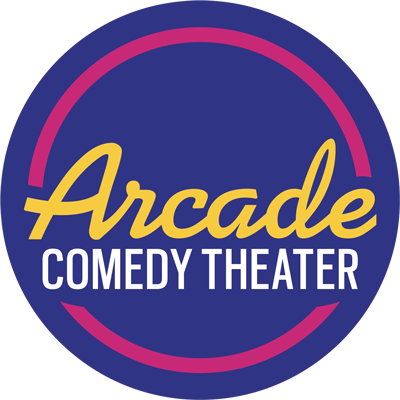 Many Max Teams star in monthly or recurring shows at the Arcade, branching out and carving a name for themselves in the Pittsburgh comedy scene. House Teams are an artistic product of the Arcade Comedy Theater’s in-house improv program. Assembled by the Creative Directors, and coached by members of the Arcade community, these teams represent the three major styles of improv in the city: short form, long form, and musical improv. You can catch our House Teams performing twice a month, on a rotating schedule, at Bonus Stage! Student Teams are an extension of the Arcade Academy, and are comprised of current and recently-graduated improv students. These teams extend and build upon the classroom experience, and feature ever-changing casts of funny, new performers.